Aromi per Bruschette - this is the original Calabrian mix for spicy-crunchy Bruschetta in the blink of an eye. The right seasoning is crucial! Spices are essential for the perfect taste. They give the dishes the absolute decisive whistle. And that's not just the proverbial salt in the soup. 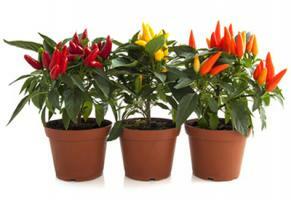 Learn in the following article which important role spices play in a successful barbecue. Which spice mixtures belong to the barbecue? Spices, such as pepper or paprika, are often used for barbecuing. Often these are refined with smoke flavor. 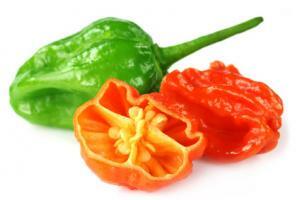 Just as often spicy chilies and Cajun are found in the mixtures. That is itself a spice blend originating from French immigrants in the United States of America. In addition to these, spices are often found in the spice mixtures, such as garlic and sea salt. How are these spices used? The spice mixtures can be used in various ways when grilling. First, the food can be rubbed in advance with the spices, in this way you can create a wonderful dry marinade. The food must now be well packed, it can rest in the refrigerator for several hours, so that the flavors of the spices can also be optimally absorbed by the food. 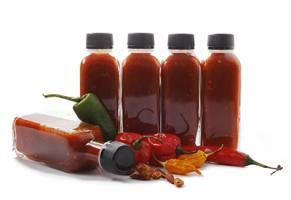 Of course, the different mixtures can also be used as a flavoring agent in a liquid marinade. But to get the perfect result, you have to make sure that the spice mix does not contain any salt, as this will draw the liquid from both the marinade and the food itself. The same applies to a dry marinade. 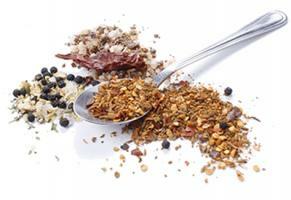 The individual spice mixtures can of course be used in a variety of ways in the kitchen. The grilling options already mentioned are just one way to apply a spice mixture in the kitchen. Of course, you can also spice up a lot of other dishes with a tasty mixture of various spices, for example sauces, soups, stews and many more. 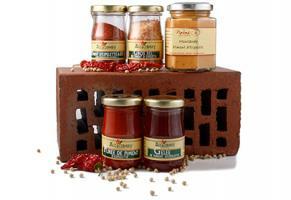 For some classics, among others from the Mediterranean kitchen, there are some very special and specific spice blends. Examples include the spice blends for the original Italian Bruschetta or the spices for Jambalaya (dish from the USA). A set of mixture includes the most important! Especially for people who often heat the grill or the smoker, it can be interesting to buy not just a spice mixture, but several. Buying them one at a time not only means a higher price, but also more options. A set of several different spices is probably the right choice. Often, these sets contain much more than just spices. There are compilations that include, for example, a BBQ sauce and a BBQ mustard. So, you can really meet the typical BBQ taste. To always be perfectly prepared, you should consider whether it makes sense for you to buy such a set. If you decide against it, but you use spices often, then it may be a good idea to buy a refill pack so that you are always well supplied with tasty spices. Where are the spice blends available? In today's world, there is an incredible supply of food, and it has become difficult to keep track of. Only the department with the spices in the supermarket extends over several shelves. Not infrequently specialties are also represented in this selection, but unfortunately not always, and not in a high variety. If you really want to be sure that you get the right spice mixture, the World Wide Web offers you the best alternative. 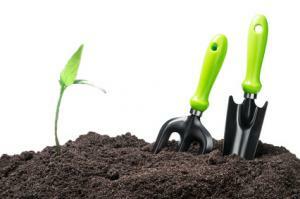 There you will find several pages on which such mixtures are offered. We also have a small selection of great spice blends in our small Pepperworld Hot Shop. Spice mixtures are also suitable as a present! If you are invited to friends or acquaintances, it is accustomed to present a small gift to the host or the hostess. But which gift is the right one? 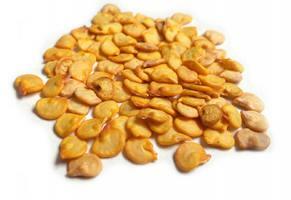 Since the selection is very large and the tastes are of course different, the choice is sometimes a bit complicated. Foods are always great as a small gift, especially if they can keep for longer without spoiling. A spice mixture is, of course, the perfect present. If the host likes to cook, you'll probably come across a proverbial spice blend in the middle of the proverbial black, as these creations are of course very versatile in the kitchen. Of course, it is not very complicated to produce your own spice mixes at home, but then it is not guaranteed that the result will also taste good. Only a little too much salt and the entire mixture is no longer edible. The storage of your own creations is not always easy. For example, if the mixtures are not sufficiently sealed, there is a risk of lumps forming in the mixture as the moisture is absorbed from the air. The result is a damp, unattractive, unusable mass. In order to achieve the really authentic taste, it is therefore advisable to resort to a purchased spice mixture. Of course, these spice mixtures should also always be hermetically sealed, as the effect is the same. spices are the nuts and bolts in the kitchen! Of course, this also applies to grilling. The usage is very diverse. They can be used both as a dry marinade and in a liquid marinade. But you have to make sure that the mixture contains no salt. Especially for people who often organize a barbecue, buying a set can be the right decision. Often such sets contain not only spices, but also other ingredients for a successful barbecue, such as mustard and a delicious sauce. Of course, a spice mixture can not only be used for grilling. The usage areas are as varied as the cooking itself. Whether in the soup, the sauce or in the stew, a spice mixture really offers a lot of possibilities. Some classics require special spice blends according to a set recipe, such as bruschetta. If you want to put together your own spice mixture at home, this is a bit more complicated than expected. The mixing ratio must be right in any case, so that the taste can finally be convinced. If you do not trust your own manufacturing or have little time for it, then you can also buy the spice blends, for example, in our Pepperworld Hot Shop. The only important thing is that the spice mixtures are always well sealed, so they cannot absorb moisture from the environment.